It was a big football weekend for R and G, who adopted the Patriots and Green Bay as their respective teams. For R, it just happened that a couple years ago, he was watching football, liked what he saw, and sort of declared "I like the Patriots!" For G, it was even easier: his favorite color has always been green and his name starts with a G. He saw the green helmets with a "G" on them, and became an instant Packers fan. My boys are nothing if not scientific in their NFL allegiances. Who can blame them? Since Mom and Dad cheer for the Browns and the Redskins, if they wanted to avoid the misery of losing lots of close games, they had to look elsewhere. R's team was victorious, and while Green Bay won't be repeating as Super Bowl Champs, I told G that I had some "Green Bay" chips that I wanted him to try. It ended up being R who was a bigger fan of my green chips, but I think G appreciated their color, if not their taste. 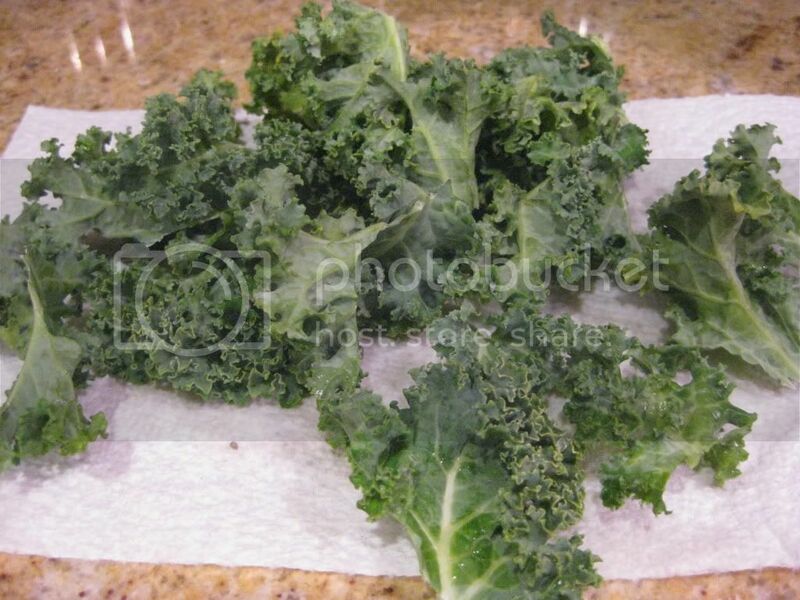 In a large bowl, pull the kale leaves into smaller bite-size pieces. Drizzle with oil and sprinkle with salt and pepper. Toss well. Bake for 8 minutes, then use a spatula to gently move the leaves around a bit, to ensure even baking. 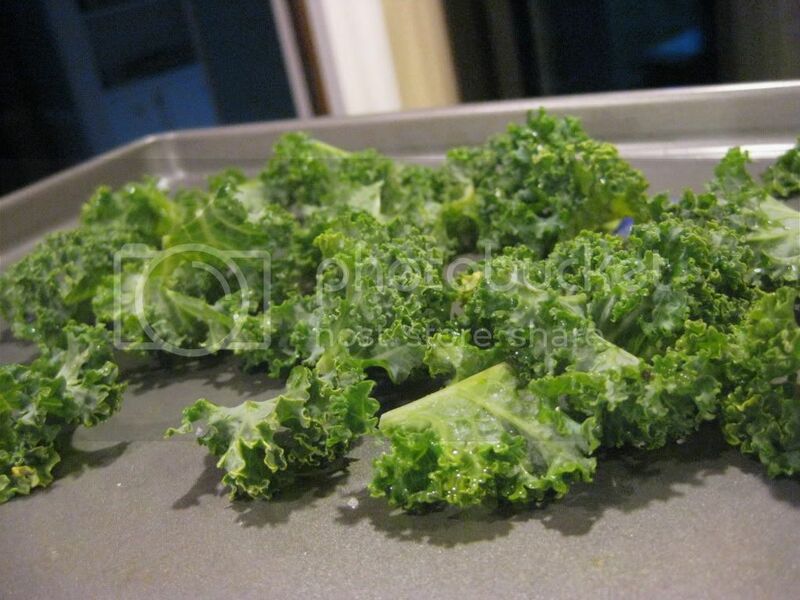 Bake an additional 2-5 minutes, depending on the size of the leaves. You want them to be crisp, but not browned, as this adds bitterness. 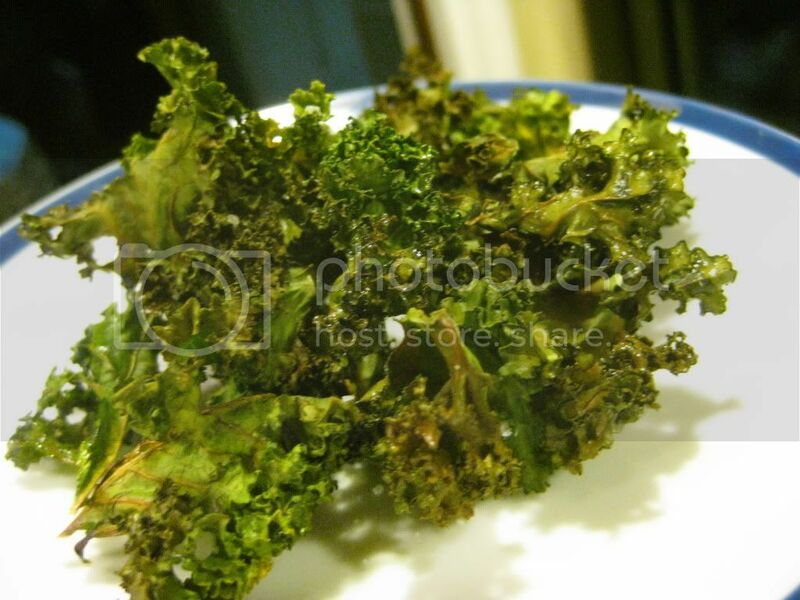 Makes about 2-3 cups kale, er, Green (Bay) Chips. Last but not least, I have a wonderful cookbook giveaway to announce tomorrow. Here's a hint: if you like your slow cooker, you will want to check it out! !